Guitarist Mike Walker will release a new album in 2015 as a follow up to his critically acclaimed debut, Madhouse and the Whole Thing There. 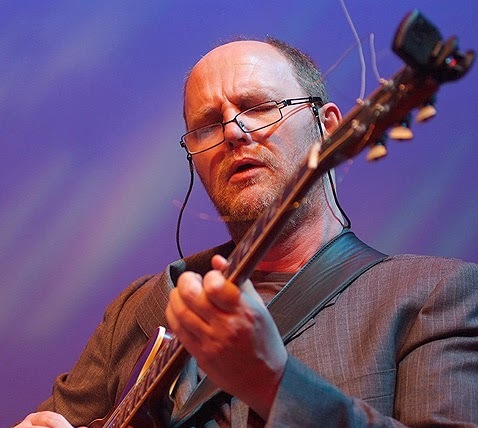 Ropes will feature music originally commissioned by Manchester Jazz Festival in 2008 and features a 22 piece string orchestra alongside a jazz quintet featuring Les Chisnall, Iain Dixon, Adam Nassbaum and Steve Rodby. A fundraising gig will take place on November 8th at the Cinnamon Club in Manchester to raise funds for the creation of the album and a Kickstarter campaign will also be launched. This gig will feature Mike with Les Chisnall, Iain Dixon, Gary Culshaw and Tom Higham. Tickets cost £20 and all proceeds go to making the new album. To keep up to date with news on this album and Mike's other projects, see his website.